Getting your Appliance Repaired should never be compared to going to the dentist. People tend to get into a frenzy when something breaks, and we totally understand that! We can have a truck en route to your home minutes after you call with no extra fee for quick service. The last thing that anyone wants to do when their TV breaks, or Microwave stops working is to lug it all the way to their car just to drive over to a repair shop that makes them wait in line. 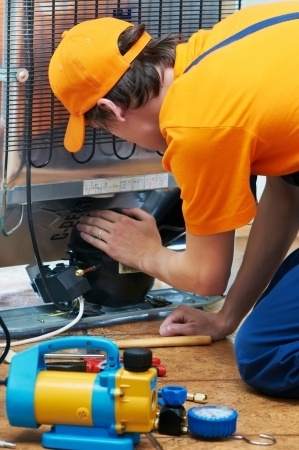 Harris Appliance Repair has been a long standing part of the New Haven Community. We pride ourselves on being experts of the trade, and being able to fix any broken appliance on the spot without having to call another truck over. Calling in for back up because of not being prepared for each and every unique situation is not in our DNA. All of our technicians are not only licensed & insured, but take pride in their ability to fix anything. The repair was fast and easy. The repairman was friendly and very nice. I would recommend Harris Appliance Repar if you live near New Haven. Harris Appliance Repair is a wonderful local business. Steve, the owner, came to my home and repaired my dryer for me. You can tell customer service is very important to him. For broken appliances, call Harris. The entire experience was smooth and easy. I knew the whole time that my stove was in good hands with the repairman. Our washing machine wouldn't turn on. I called two other appliance repair companies in New Haven and neither could come the same day. Then I called Harris and the repairman was at my home in less than 2 hours and fixed it immediately. It's so nice to hire a company that cares about its customers. 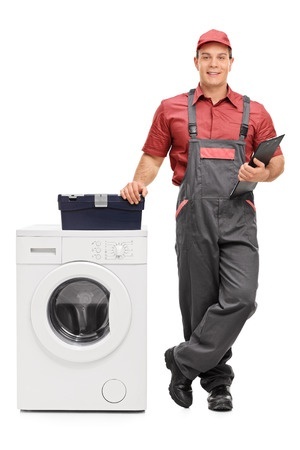 Harris Appliance Repair is an honest, reliable service I would recommend to friends and family in New Haven.